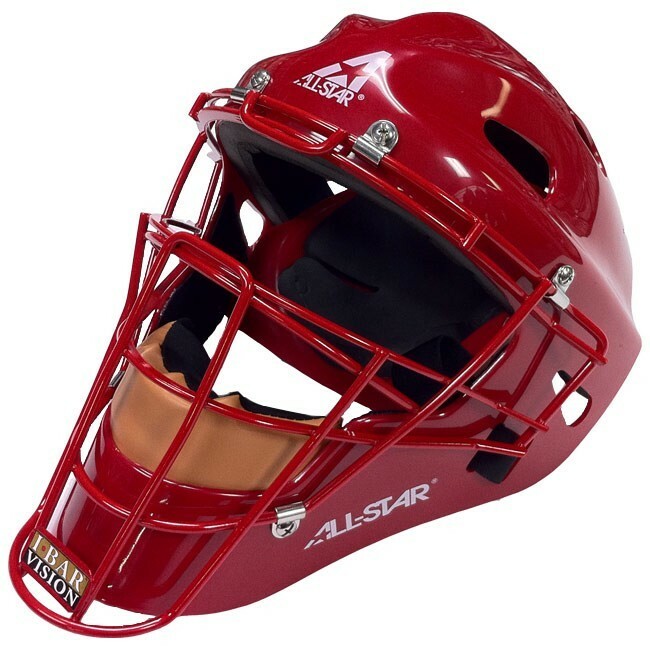 Yadier has been seen with a reverse color combo from his “helmet” (according to All Star, a “mask” is the traditional style and a “helmet” is the hockey style) last year. In 2013, his mask was red with navy accents, but he seems to have switched it up just a bit with navy and red accents. Custom painted for him and the generic version of it is available.